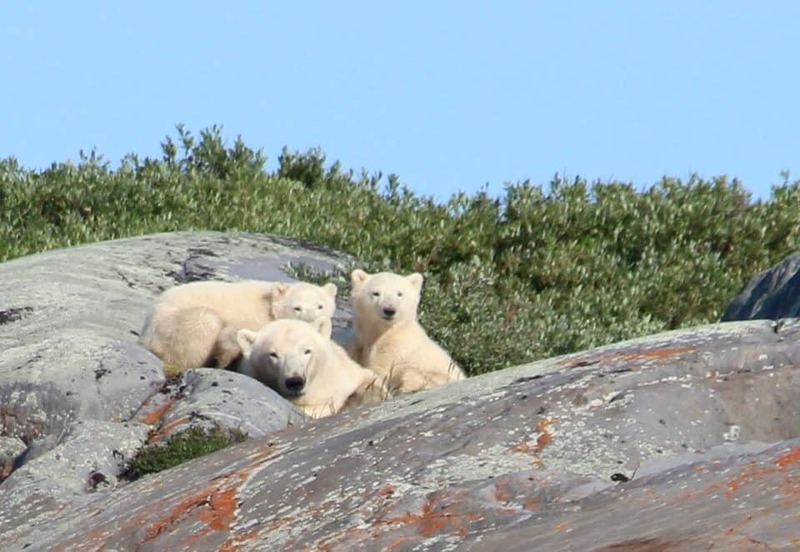 I knew I could get some great polar bear pictures on my photo safari expedition. Gliding in on the charter plane near Churchill Manitoba, I was in for a treat of nature. 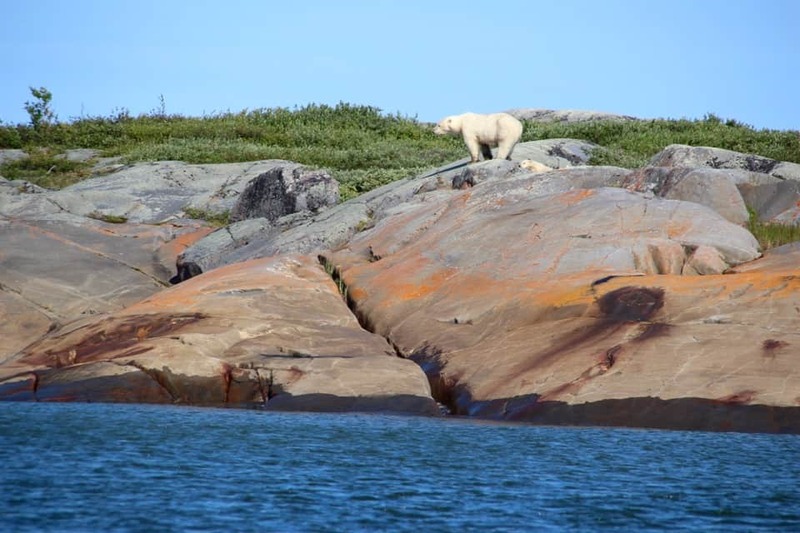 The area was full of polar bears and beluga whales during its Arctic Summer in Canada’s Great White North. 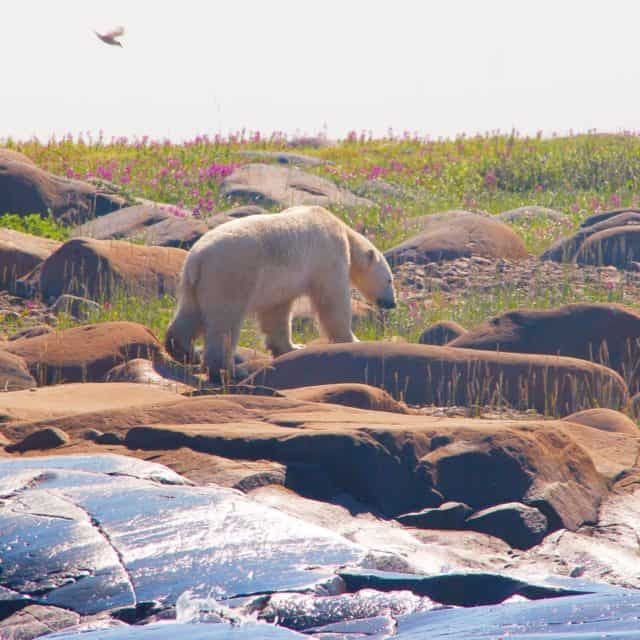 With over 3,000 Beluga whales migrating into the Hudson Bay and 1,000 Polar bears leaving the melting arctic ice, this was an amazing time to visit Churchill Manitoba. So let the great migration begin! 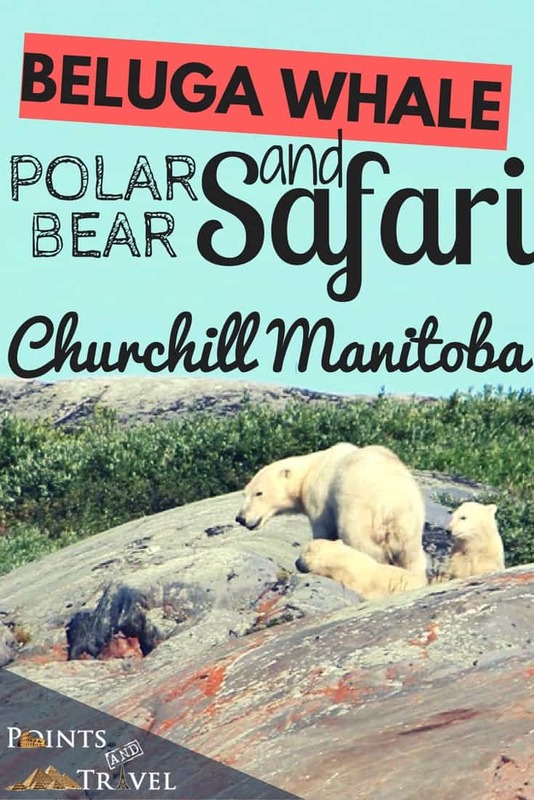 Little did I know things wouldn’t start out as planned when I arrived for my flight at 9 AM in Winnipeg with Lazy Bear Expedition (a Churchill polar bear tours company). It seems that they had some bad weather in Churchill Manitoba and with no way to land the plane. They were now projected our take off for 5 pm. Quickly my group opted to take a fast-track city tour of Winnipeg in the meantime. They take good care of you at Lazy Bear, as the weather is something they deal with on a daily, um hourly, basis, they said. 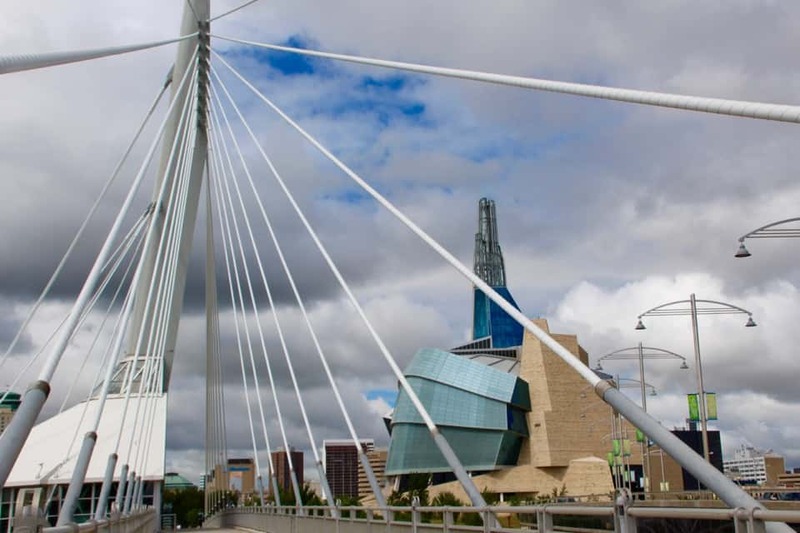 I knew virtually nothing about the city of Winnipeg and was happy that I had even a few hours to experience the modern/seaside vibe that it exuded. 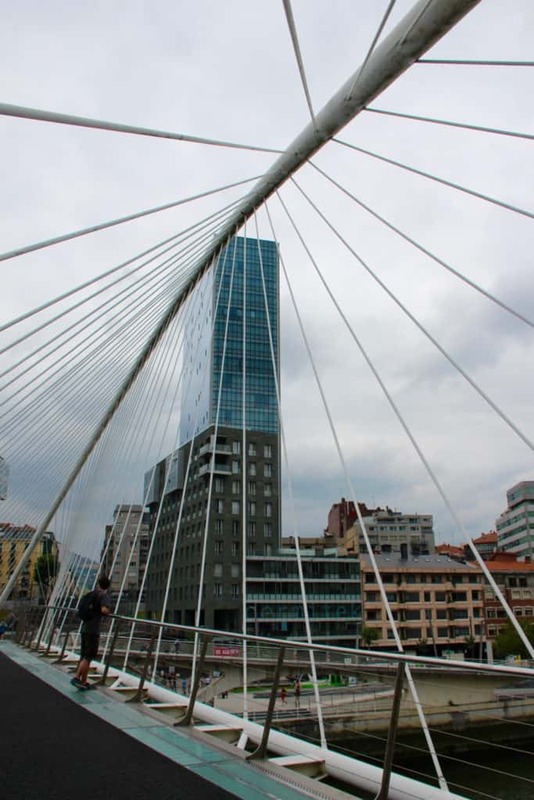 After having just visited Bilbao in the Basque Country of Northern Spain only a few days before, I marveled at work that looked similar to the Canadian – American architect Frank Gehry, whose Guggenheim Bilbao Museum has been named one of the most beautiful museums in the world by Conde Nast. I was surprised how similar architecture looked in Winnipeg, especially from architect Antoine Predock. 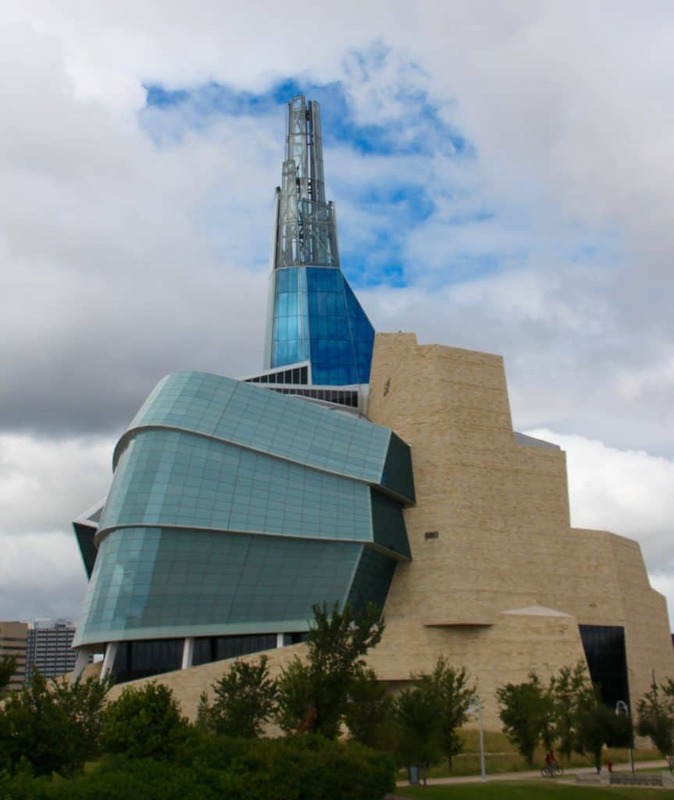 He was the designer of the Human Rights Museum pictured above. 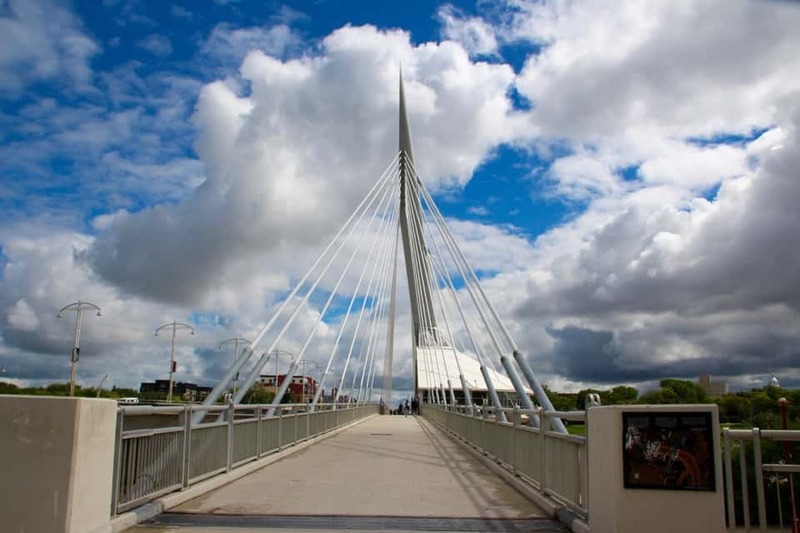 As I walked past it and across the Esplanade Riel Pedestrian Bridge, it was quite striking the similarities between the two river cities and their bridges. Alas, the memories of a late flight arrival were all behind me now as I wrangled my way into my survival suit. Slithering out of my jacket and into this thing was quite a feat, but I somehow managed to be the last one dressed, after trying on several suits till I found the one that fit my short stature. 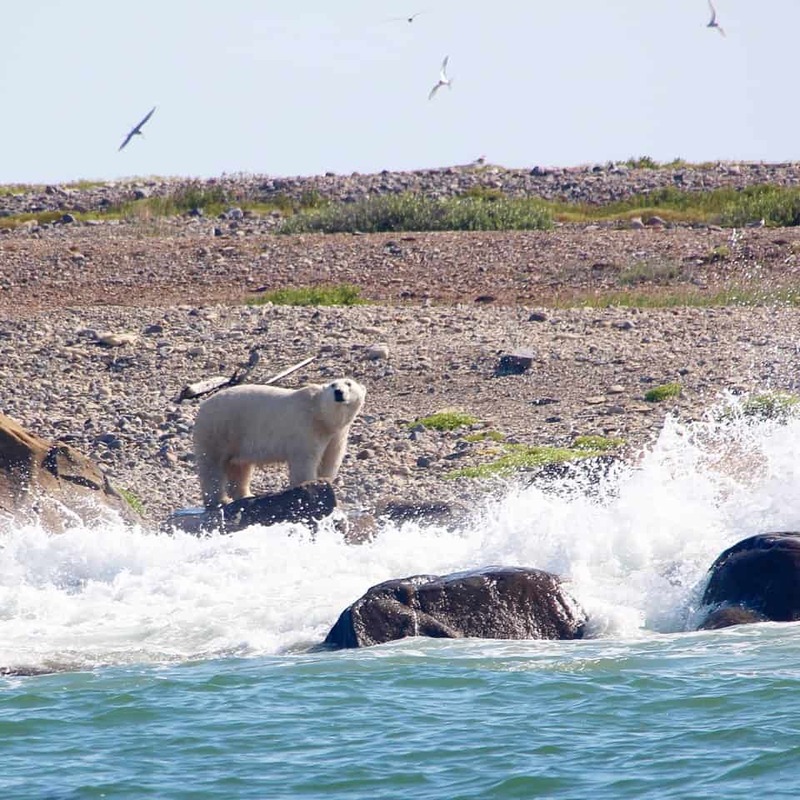 We then jetted out to Eskimo Point via Button Bay in the massive Hudson Bay. 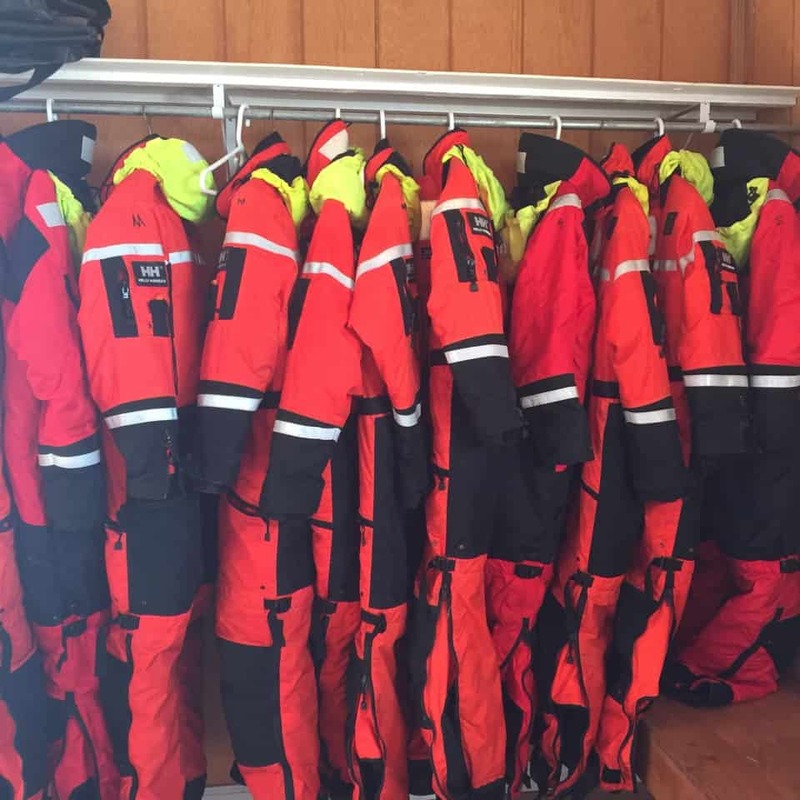 We were onboard the Samuel Hearn, a coast guard certified and custom-built boat on the coastal water tour of the Hudson Bay traveling North. Shortly thereafter we arrived at Mosquito Point, an estuary where the rapids stumble into the Churchill River and huge Beluga whale coalitions gather. There is a fresh water point in the estuary near Mosquitos Point that is the furthest point up the river that the Beluga whales migrate to. The seals will go up further, but typically not the Beluga whales. Here the water has more of a reddish color due to the tannins in the water. 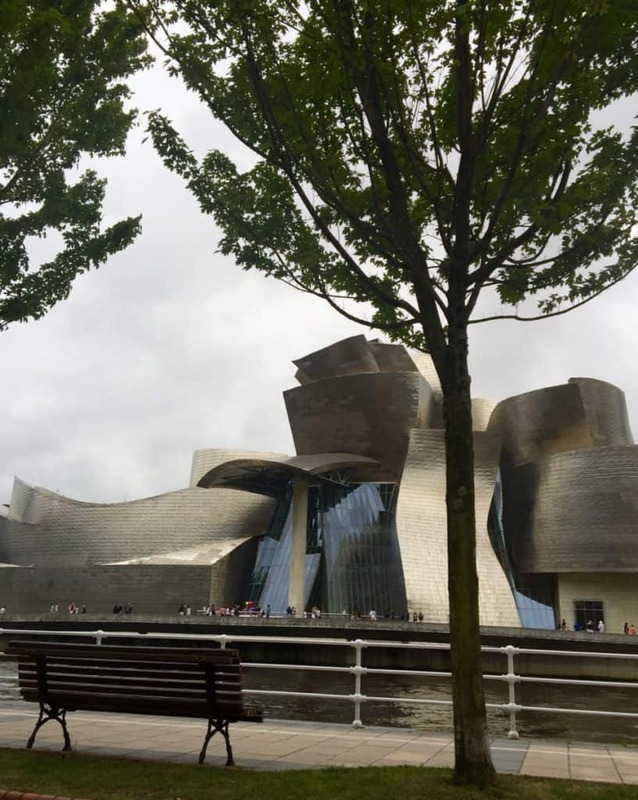 Tannins are a natural organic material are the byproducts of nature’s fermentation process. As water passes through peaty soil and decaying vegetation, the water begins to have a red to faint yellow color in the water. There are moments aboard the sea vessel, where Wally, the captain, and owner of Lazy Bear Expeditions, sets the tone as he orchestrates the expedition we are on. We sit idly in the water with pods of beluga whales following when he drops the hydrophone into the water and he manages to brings us right into the experience of the family of belugas. Suddenly we were right dab in the middle of a beluga whale party line! Jabbering away, they make two types of sounds: vocalization and echolocation, which are the lifeblood of beluga whale conversations. 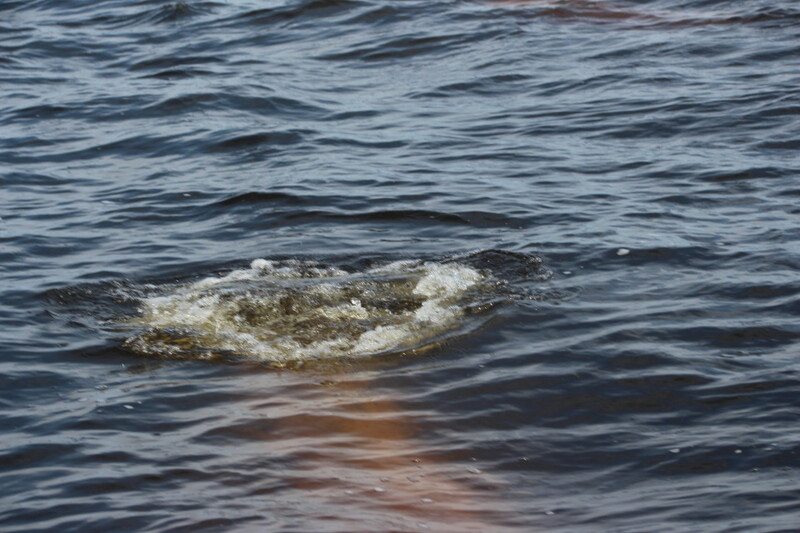 Belugas rely on sound production to navigate the seas, communicate with each other, and to hunt in murky waters. Soon we heard a clammer of squeaks, clicks, and whistle from underneath the boat in the frigid waters of the Hudson Bay. 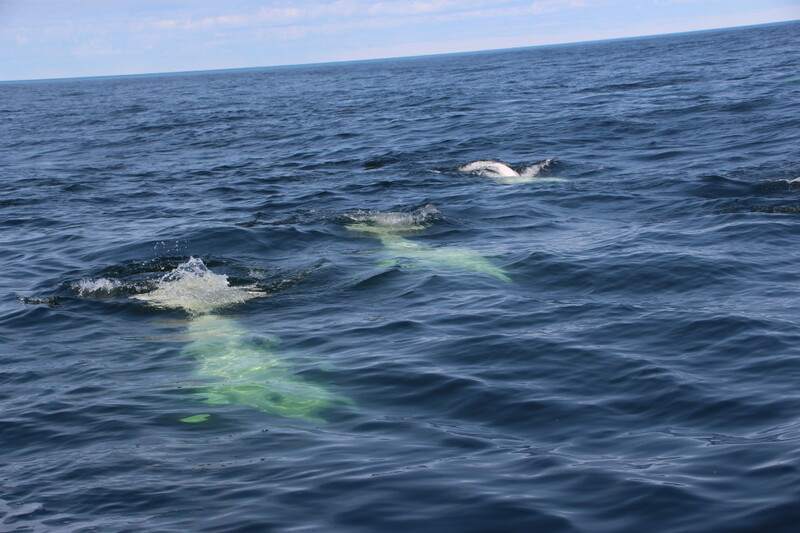 Swimming to the surface are hundreds of icy-white beluga whale mothers with their small calves hugging their sides. We can see them everywhere. 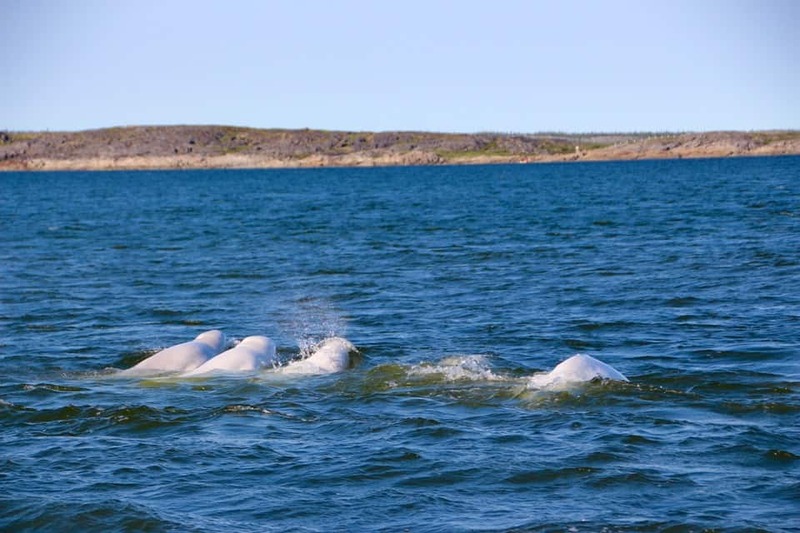 As we make our way to the west side of the Hudson Bay into Cape Merry, another estuary where the fresh water and sea water mix, we find that we are right dab in the middle of a Beluga whale summer spa! Beluga whales come here to take care of their skin- they exfoliate their skin by rolling around, which eventually gets scrubbed white. And this is also a place where they come to have babies, as the conditions are much more pleasant and protected than in the open ocean. There are moments aboard the sea vessel, where Wally, the captain, and owner of Lazy Bear Expeditions, sets the tone as he orchestrates the expedition we are on. We sit idly in the water with pods of beluga whales following when he drops the hydrophone into the water and he manages to brings us right into the experience of the family of belugas. But you came here for polar bear pictures, right? Well, just wait. Eventually, after touring for quite some time, we spot something in the rocks about 100 meters from shore. I honestly didn’t see anything, but those people with binoculars said they saw something moving in the rocks. I wanted to take some polar bear pictures and soon enough, my dream came true! 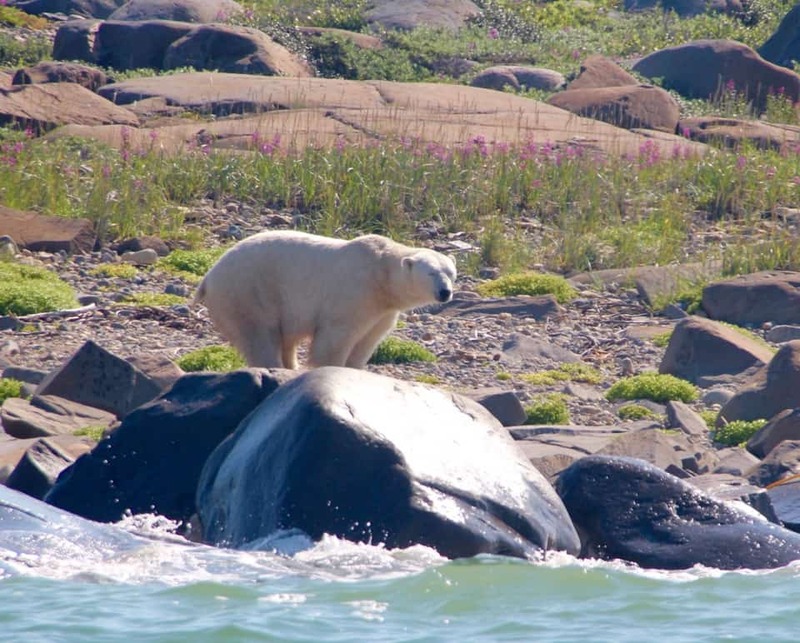 And that, my friends, was an amazing experience: Beluga Whale and a Polar Bear Safari: Churchill Manitoba, I hope you enjoyed my polar bear pictures on this photo safari. 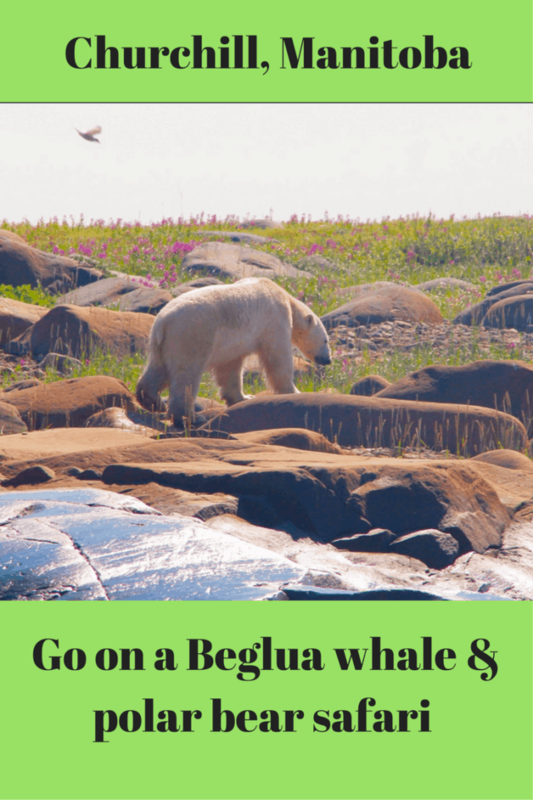 You can read more about my beluga whale experience here: Kayaking with Beluga Whales and Swimming with Beluga Whales. Disclosure: As is common in the travel industry, Dr. Maloney was provided with accommodations, meals, and other compensation for the purposes of review by Travel Manitoba, Travel Winnipeg, and LAzy Bear Expeditions. While it has not influenced her review, PointsandTravel.com believes in full disclosure of all potential conflicts of interest.